إذا كنت تبحث عن فندق بموقع جيد في بلو ماونتيينز، فقد وجدت ضالتك في Federation Gardens and Possums Hideaway . يحظى هذا الفندق ذو 3.5 نجمات بمكان ممتاز يسمح بالوصول إلى المعالم السياحية الأكبر في المدينة، فهو يبعد مسافة عن صخب المدينة. 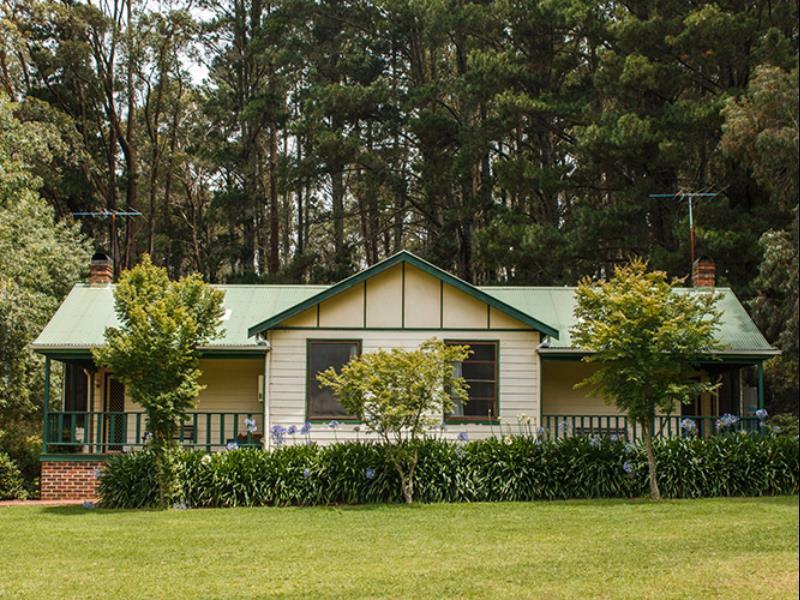 يضفي محيط الفندق اللطيف وقربه من The Gully, Blue Mountains ANZAC Memorial Hospital, سينما ذي إدج سحراً خاصاً على هذا الفندق. كما يقدم Federation Gardens and Possums Hideaway الكثير من الخدمات لإغناء رحلتك في بلو ماونتيينز. تتضمن الميزات الرئيسية في هذا الفندق: مدفأة, تسجيل وصول/خروج سريع, تخزين الأمتعة, صف السيارات, غرفة عائلية. يمكن للنزلاء الاختيار من ضمن مجموعة من الغرف المصممة بعناية لتعكس جواً من الراحة، والتي يتجاوز عددها 17. سواء كنت من محبي الرياضة أو كنت تتطلع لتفريغ عناء نهار صعب، ستجد خدمات ذات مستوى عالي بانتظارك كمثل تنس الريشة, مسارات المشي, حمام سباحة داخلي, ملعب للأطفال, ملعب تنس. مهما كانت دواعي سفرك فإن Federation Gardens and Possums Hideaway هو خيار ممتاز لإقامتك في بلو ماونتيينز. Manager Jass was super friendly and welcoming, lots of DVD that we could borrow for free, huge and clean room with all the necessary facilities. Definitely recommended! Things we liked: Arrived early and were allowed to check in - much appreciated Clean and comfortable beds, although the bunk beds made a lot of noise, enough to wake people up. Nice heaters, kept the loft warm Continuous hot water in the shower Nice grounds Things that can improve: Tennis court - not playable, in bad shape Pool table in game room falling apart, literally The liquid in the shampoo bottle wasn't shampoo or it was really bad shampoo We didn't like: Fact that we had to wash dishes manually as there was no dish washer Had to take out the trash One of the major perks of a holiday/break is NOT to doing the above. For around $300/night, we shouldn't have to. We stayed overnight at the Federation Gardens and Possums Hideaway. What a great little find. We checked in after 8pm so the staff left us our keys at reception. The porch light was on and the fire was already going when we got there so it was lovely and warm inside, which was great because it was freezing outside. The place was cosy, clean and well equipped. The kids loved the games room, tennis courts and cubby house. They left a bag of marshmallows for us to enjoy at their fire pit. Such a thoughtful gesture. Will definitely be coming back again when we go to the Blue Mountains. Thank you Gwendolyn for reviewing your recent stay with us. 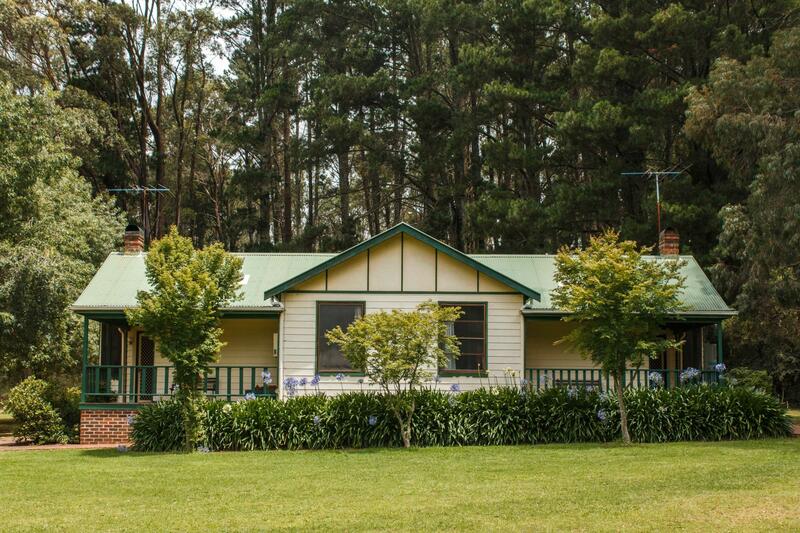 We look forward to welcoming you and your family back again when next you visit the Blue Mountains. we arrived here with little expectation but we're really surprised at how comfortable, clean and warm the accommodation was. Julie had turned on pur fireplaces for pur arrival which was so well received in minus degree weather. Also waiting were marshmallows which we all e noted roasting at the communal indoor fire pit which was fantastic. we all slept well and it was well located with lookouts down the road. we even got pizza delivered which was great. 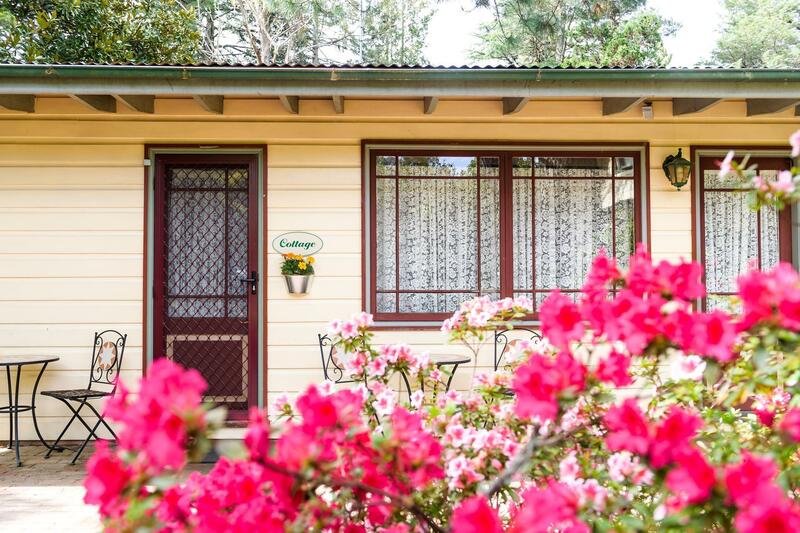 Thank you Katy for sharing with others your experience of Federation Gardens & Possums Hideaway - its lovely to hear you enjoyed your stay with us. Quiet and peaceful. A variety of activities for children. Evans lookout at the end of the street was a highlight. Great location. Pros great facilities tennis, pool, fire pit, games room etc. Peaceful environment and spacious grounds. 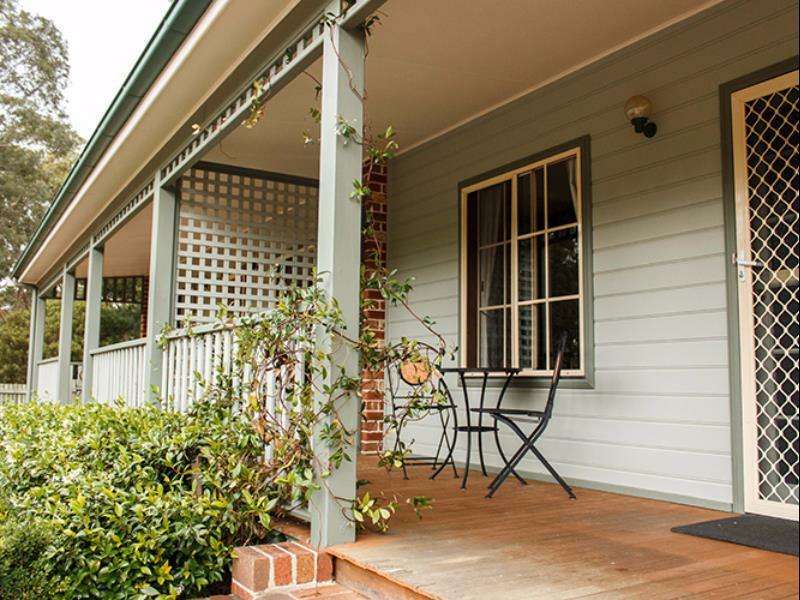 Comfortable asdommodation with spaciou living area, verandah and well stocked kitchen. Cons need cupboard for clothes only clothes rack in one room. No oven but microwave and stove. My wife and I stay in the Possums Hideaway cabins once or twice a year. Lovely romantic setting, always quiet, staff are fantastic. Fireplace is always stacked ready to go upon arrival. Julie was a fantastic host, lovely place to stay with plenty of onsite facilities for amusement and relaxation. Would definitely recommend! We had a great time with all the facilities on offer. The fire pit and marshmallows were a great touch and the verity of games and the heated pool made for an unforgettable weekend, especially for young kids. Highly recommended. This is a lovely place. The cabins are spacious and well appointed. The gas stove dispels any cold weather. The facilities promote good family activities. The staff are well organised, friendly and helpful. I would definitely recommend it to a friend. We stayed here for 2 nights in July with a group of adults and kids. This retreat has a lot to offer to keep everyone entertained. There was a heated pool which we didn't get to use but it was clean and warm. There was plenty of space for the kids to move around and play ball. We played volleyball though we took our own ball as there were none suitable there. The games room included a pool table , bowling pins, cricket bats, and balls. They provided rackets (squash rackets/balls) for the tennis court. We borrowed DVDs from reception. The family cottage had 2 bedrooms, full size kitchen (no oven) and fridge and spacious - there were 2 bunk beds and a queen bed. The bathroom had a shower with a base that could double as a small bath. Hairdryer, kitchenware, shampoo, soap, linen AND marshmallows all supplied. The fire pit was a great area to hang out and keep warm in the evenings and roast marshmallows. There was a communal BBQ. Overall we enjoyed our stay. 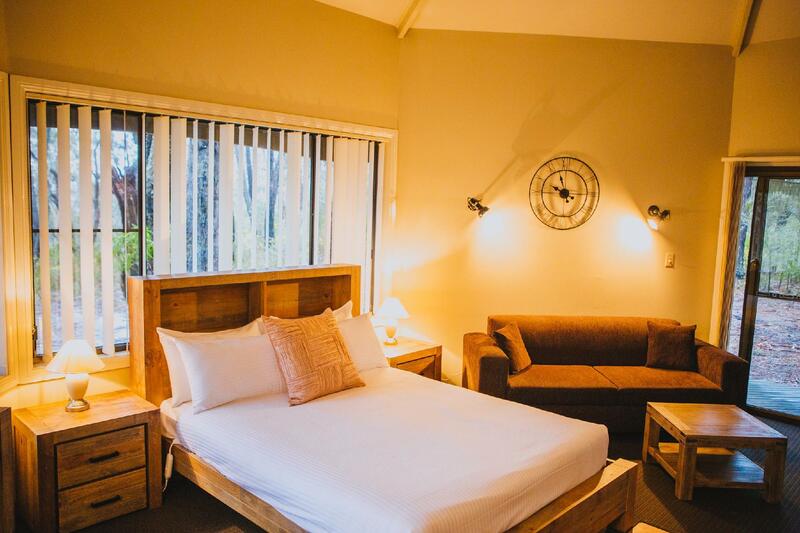 A wonderful place to stay and enjoy the natural surroundings; quality accommodation and well-run. Julie welcomed us warmly and gave us some good recommendations for things to do and places to eat. Federation Gardens is a very nice and relaxing location. Julie was absolutely wonderful, getting our lodge arrangements settled, checking us in, and also recommending places for dinner, catching the sunrise, etc. We were travelling as a large group of 11, staying in 2 lodges. The lodges were clean and spacious, and everything was in working order. The kitchen area was big so we did all our cooking in one kitchen to avoid dirtying up the kitchen in the other lodge. We didn't get to use the communal facilities in the area as we arrived later than planned and were soon headed out, but we did notice other families enjoying the swimming pool. There was no WiFi at the lodges, but the Internet addicts were happy enough to wander off to the Reception building (which isn’t too far away) for their fix. A checking-out checklist in the lodge indicates clearly what needs to be done before handing in the keys at Reception. Thanks for a lovely time at Federation Gardens, Julie! Your recommendations were spot-on! Warmest regards from Singapore! My friends and I stayed there during Easter weekend. The rooms were clean and comfortable. The facilities were great. We loved roasting marshmallows at night. It's a cozy base camp for walking around the less populated tracks in the National Park. The Cave Walk is only 200 metres away and Evans Point Lookout is less than 2kms away. Marshmallow was provided for in room fire pit BBQ, what a surprise and great for bonding! Standing shower area was very tiny but alright for a night's stay. Love the tranquil environment. We were late for check in but we informed the hotel in advance. Staff pleasantly arranged for our keys to be picked up without much hassle. Everything was at or above expectations. Great place, nice barbecue and fire pits. We did not see any possum, though many nice birds. Do not miss the Lookout at the end of the road (a couple of km away).